My wife is gaga for yoga. Allow me to qualify that statement. So gaga is she that she went and got certified as a teacher earlier this year. 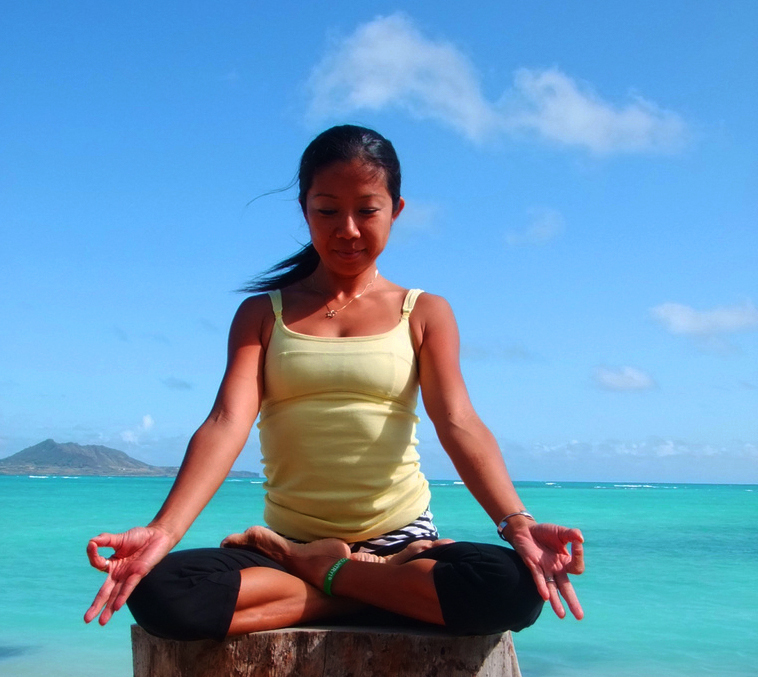 She’s been building up her teaching practice, affectionately designated “Happy Ashtanga”, and has classes at Yoga Hawaii, as well as her own private classes that continue to grow. I’m pretty proud of what she’s achieved so far, and she’s only getting better. Mind you, this is coming from someone who has a history of skepticism when it comes to yoga. My first encounter with it was at the hand of a shrewish, unpleasant woman who berated me for my lack of flexibility and was not herself a shining example of the spiritual harmony yoga is supposed to help one attain. My second encounter ended with me on the floor, paralyzed by back pain, courtesy of a move too advanced for my tense body. Overlaid on these two unpleasant experiences was the nagging suspicion that if there is no running, no field of play involved, it is not a worthy sport. However, my mind has been changed. While I wouldn’t consider myself a real devotee, it has become an integral part of my weekly workout routine. On the days I do yoga, I notice a real lift in terms of energy, flexibility and mental state. I feel bouncy, and generally well-disposed toward the world.